The Stone Carvers, the One Book, One Community pick for 2003, was shortlisted for the Giller prize. Set in the first half of the 20th century, The Stone Carvers weaves together the story of ordinary lives marked by obsession and transformed by art. At the centre of a large cast of characters is Klara Becker, the granddaughter of a master carver. Klara, a seamstress, is haunted by a love affair cut short by WWI. She and brother Tilman, who has uncontrolable wanderlust, are swept into a colossal venture in Europe years later. 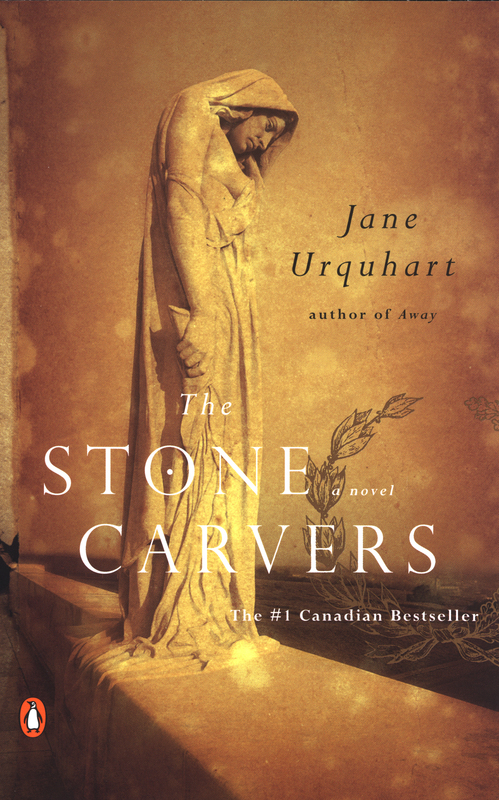 Spanning three decades, and moving from a village in Ontario to Europe after the Great War, The Stone Carvers follows the paths of immigrants, labourers, and dreamers. Jane Urquhart was born in Little Long Lac, a mining community in northern Ontario. Her family later mover to Toronto where her adolescent years would be spent. Currently, Urquhart and her artist husband, Tony, live in a small town in southwestern Ontario. Urquhart has published books of poetry and short stories as well as novels. Her books have been published in many countries and have been translated into several languages. In 1992, her novel The Whirlpool was the first Canadian book to win France’s prestigious Prix du Meilleur Livre Etranger (Best Foreign Book Award). Her third novel, Away, won the 1994 Trillium Award and was shortlisted for the International IMPAC Dublin Literary Award, the world’s largest literary prize for a single work of fiction. The Underpainter won the 1997 Governor General’s Award.